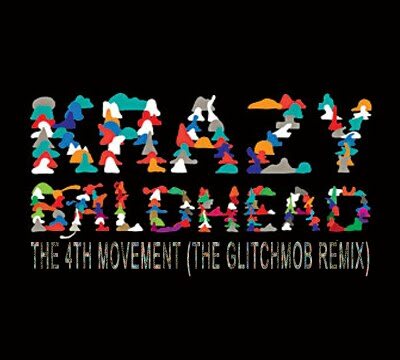 The Thursday Of Good Tracks continues :) The Glitch Mob crew which is currently touring the States regularly teaeses its fans with new music, probably to ease the anticipation for their debut album dropping at the end of this month. If the remix of the French electro don Krazy Baldhead (Ed Banger) or the first track from the album they released some time ago - plus some rumors from people who had a chance to listen to the album and first impressions of those who attended their recent gigs - can be an indication of the direction the Mob follows in their music development, I daresay that the fans of The Glitch Mob's high-fueled banger aesthetics might be partially disappointed with the final output. Whereas those believing that the trio is capable of escaping a typical intro-breakdown-sick drop-lots of heavy bass pattern, may be positively surprised with the quality of this 'new' Glitch Mob. I'll hold my personal views until I hear the full album, but definitely The Mob pitched my interest through the music they released recently even more than if they had dropped some typical sick bangers to which all of us get used to. This epic, longish remix of The 4th Movement is a kind of electronic suite of 21st century, full of distorted riffs, continuous loops, well-measured drums and though having an unmistakable Glitch Mob's feel to it, it also utilizes more elements specific rather for solo work by mobsters, in particular Ooah and edIT. I really, really like this track.